Opposing counsel has just served a Rule 45 deposition subpoena on a third party witness. Should you also serve a subpoena? What if you want to depose her for several hours, but you are not sure if opposing counsel will finish with enough time for your examination under the seven hour limit? What if you want to ask the witness about matters that have nothing to do with noticing counsel’s examination? Luckily there is no need to serve a cross-subpoena. Rule 30 governs depositions for parties and non-parties. Rule 30 allows cross examination at depositions as if it were at trial; and courts interpreting this provision (in light of the broad scope of discovery) hold that a party may ask questions outside the scope of direct examination even if they did not notice the deposition. However, the 1 deposition/7-hour time limit is fixed, unless there is a party stipulation or court order. If opposing counsel will not stipulate, you will have to move the Court for leave. While not required, you may want to serve subpoenas (and pay witness fees) to (i) have control in case defendants withdraw their subpoena; (ii) to specify additional documents for production; and (iii) to avoid disputes. 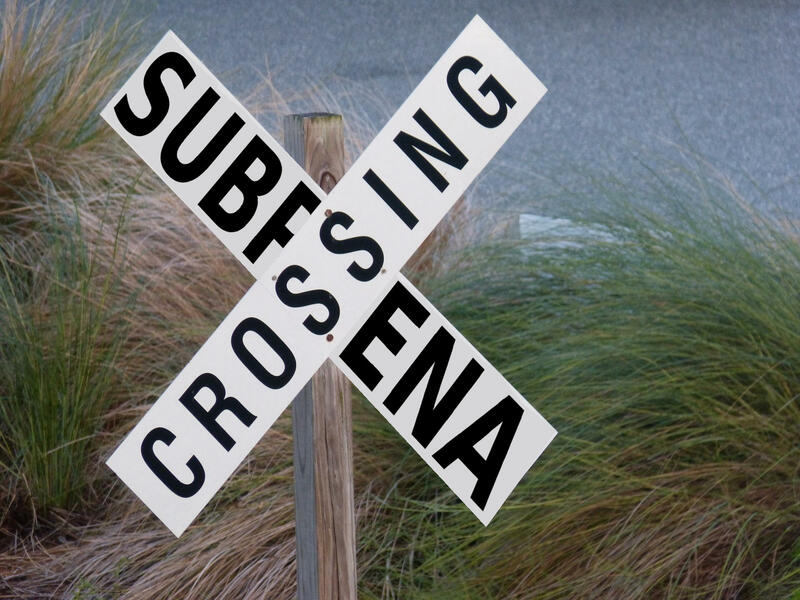 There Is No Requirement to “Cross-Subpoena” a Non-Party Witness. Moreover, “[t]here is no formal requirement for a party seeking to cross-examine a deponent to serve a notice.” F.C.C. v. Mizuho Medy Co. Ltd., 257 F.R.D. 679, 682 (S.D. Cal.2009). Therefore, “[i]n a multi-party lawsuit, one party may notice the deposition and other parties may attend and cross-examine the deponent without also having to notice the deposition.” Id. ; accord Longino v. City of Cincinnati, 2013 WL 831738, at *5 (S.D. Ohio Mar. 6, 2013). Loop AI Labs Inc. v. Gatti, 2015 WL 5522166, at *4 (N.D. Cal. Sept. 18, 2015) (P served subpoena on W; court ordered that D is entitled to 2 hours, even though it did not serve a subpoena). Smith v. Logansport Comm. School Corp., 139 F.R.D. 637, 642 (N. D. Ind.1991) (plaintiff’s counsel and co-defendant’s counsel could cross-examine the witness deposed by defendant; stating it would make “no sense” to require a cross-examining party to notice a deposition for matters outside the scope of the direct examination “in light of the liberal objectives of discovery”). The Court Has Authority to Extend Deposition Beyond Seven Hours. While neither party to the litigation moved for an extension of the deposition, the Court finds that granting an extension falls within its broad discretion to manage discovery. See Herbert v. Lando, 441 U.S. 153, 177 (1979) (“The [Supreme] Court has more than once declared that the deposition-discovery rules are to be accorded a broad and liberal treatment to effect their purpose of adequately informing the litigants in civil trials.”); Goehring v. Brophy, 94 F.3d 1294, 1305 (9th Cir.1996) ( “Broad discretion is vested in the trial court to permit or deny discovery.”). Syncora Guarantee Inc. v. EMC Mortg. Corp., 2012 WL 12505608, at *2 (N.D. Cal. Mar. 8, 2012) (P and D served subpoenas and refused to agree to limit total deposition to seven hours; W moved to modify subpoena; court found W’s testimony was important and ordered her to appear for two days). Tender Witness Fees at the Time of Service. It is helpful to keep in mind that Rule 45 requires payment of fees at the time of service. In the case below, court issued sanctions against an attorney who moved to compel an invalid deposition subpoena because fees were tendered when he noticed the deposition, not at the time of service. This case is good to keep in mind when serving or responding to Rule 45 subpoenas. A subpoena is invalid when witness fees or mileage allowances are not tendered at the time the subpoenas are served. Federal Rule of Civil Procedure 45(b)(1) states: “Serving a subpoena requires delivering a copy to the named person and, if the subpoena requires that person’s attendance, tendering the fees for 1 day’s attendance and the mileage allowed by law.” Fed.R.Civ.P. 45(b)(1). A failure to tender fees at the time of service invalidates the subpoena and the deposition testimony will not be compelled. CF & I Steel Corp. v. Mitsui & Co., 713 F.2d 494, 495 (9th Cir.1983) (finding tender 34 days after service and one week after notice of deficiency did not cure defect); Mirana v. Battery TaiShing Corp., 2009 WL 290459, *1 (N.D.Cal. Feb.5, 2009.) In this case, Defendants did not tender the Tourgemans’ witness fees at the time the deposition subpoenas were served. Accordingly, the Court will not compel the deposition testimony of Cesar and Rebecca Tourgeman. Tourgeman v. Collins Fin. Servs., Inc., 2009 WL 3073714, at *1 (S.D. Cal. May 4, 2009).